Ouchi-gari masterclass with Nobuhisa Hagiwara from Bryn Reade on Vimeo. Ashi-waza masterclass with Nobuhisa Hagiwara from Bryn Reade on Vimeo. Osoto-gari with former world champion, Jane Bridge from Bryn Reade on Vimeo. 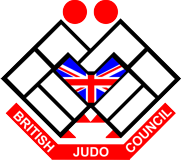 Junior Judo masterclass with former world champion, Jane Bridge from Bryn Reade on Vimeo.